… in what concerns evidence to the mass murder of hundreds of thousands of people. Or so "Revisionist" guru Carlo Mattogno would like his readers to believe. Even the investigations performed by Lukaszkiewicz proved to be a complete failure in terms of this central question. He arranged excavation at a quite definite spot in the camp where, according to the witness S. Rajzman, a mass grave was located, but discovered nothing of the kind. He had trenches dug, 10-15 m long and 1.5 m deep, at the places where, according to witnesses, the two alleged buildings for gassing had stood, yet merely encountered "undisturbed layers of earth." To be sure, he did find skulls, but without wounds from shooting. All the evidence examined by him (coins, documents, rags, containers, remnants of various objects) show merely that there was a camp at that place, and the human remains as well as the ashes prove only that bodies were buried or cremated in the camp. Nothing produced even the trace of evidence for a mass murder, to say nothing of such a crime committed against several hundred thousandpeople. For the purpose of performing an official investigation of the scene of the crime, Judge Lukaszkiewicz had gone to Treblinka. As he later explained, he acted206 "[…] at the request of the State Prosecutor of the District Court in Siedlce of September 24, 1945, further induced by a letter of September 18, 1945, of the Main Commission for the Investigation of the German Murders in Poland." "Protocol of the tasks performed on the grounds of the death camp Treblinka, which forms the object of the judicial examination. Excavations were begun on the grounds using the services of 20 workers who had been mustered by the village administration for carrying out roadwork. The excavations began at the location described by the witness Rajzman on November 6, where the so-called ‘camp hospital’ had stood and where, according to the witness, a mass grave is supposed to exist. Since a bomb crater 4 to 5-meter deep is present at the said location – two bombs still lie at a slight distance from this crater – the digging was begun in this crater. In the course of this work numerous Polish, as well as Russian, German, Austrian, and Czech coins as well as broken pieces of various kinds of containers were discovered. At the end of the work, at approximately 3 pm, at a depth of 6 meters, we encountered a layer which had not been reached previously. There were no human remains found. The work was continued, with 36 workers assigned who had been commandeered for roadwork. At a depth of 6 meters begins a layer which has never before been uncovered by anyone. It consists partly of all sorts of kitchen utensils and different kinds of household objects; there are also pieces of clothing. At a depth of 7 meters, we reached the floor of the pit – a layer of yellow sand which is not mixed with gravel. By means of expansion of the excavation we succeeded in determining the shape of the pit. It has sloping walls, and the bottom measures about 1.5 meters [sic!]. The pit was presumably excavated with an excavator. During the course of the excavations, numerous more or less badly damaged Polish documents were discovered, further a badly damaged personal identity card of a German Jew, as well as several more coins: Polish, German, Russian, Belgian, and even American. After we had made certain that this pit, filled with broken pieces of the containers mentioned, ran in a north-south direction on the grounds of the camp area – 2 meters more [in a northerly direction] had been excavated – the workers started work at this location. With the assistance of 30 workers employed for roadwork, the opening of a pit was begun – a site where refuse was deposited in the northeastern section of the camp. In this location, as the workers from the nearby hamlets explained, a very large number of documents were found up till now. Work was begun at this location where the people [of that area] had dug a three-meter-deep pit in a search for gold. During the course of the digging, broken pieces of all sorts of kitchen containers as well as a large number of rags were continually found. Aside from the coins discovered so far, Greek, Slovakian, and French ones were found, as well as documents in Hebrew and Polish and remnants of a Soviet passport. At a depth of 5 meters the work was stopped due to the steadily worsening weather conditions. The Examining Judge of Siedlce, on November 13, 1945, rules in consideration of the fact that with great probability no mass graves are any longer to be found on the grounds of the former camp today, as is to be concluded from the witness testimonies examined so far and from the results of the works carried out at the site, and in consideration of the oncoming autumn, the present rainfall and the necessity of a rapid conclusion of the judicial preliminary investigations, in view of all these facts to stop the work on the territory of the former death camp Treblinka. "With the assistance of an expert land surveyor and witnesses, I made an exact inspection of the terrain. According to the measurements, the area of the camp is approximately 13.45 hectares and had the shape of an irregular quadrilateral. No remnants of facilities of the former death camp exist any longer. The only things that remain of the structures are: a ditch with remains of burned wooden poles protruding up, which lead into the cellar, wall bricks from the foundations of the camp’s domestic economics building and the site of the well. Here and there one finds traces of the burned-out wooden poles of the fence and remains of barbed wire. There are also some sections of paved walks that remain. Nonetheless, there are still other traces that hint at the existence and functions of the camp. In the northwestern section of the area, the surface is covered for about 2 hectares by a mixture of ashes and sand. In this mixture, one finds countless human bones, often still covered with tissue remains, which are in a condition of decomposition. During the inspection, which I made with the assistance of an expert in forensic medicine, it was determined that the ashes are without any doubt of human origin (remains of cremated human bones). The examination of human skulls could discover no trace of« wounding. At a distance of some 100 m, there is now an unpleasant odor of burning and decay. In the southwestern direction, a portion of the camp terrain is covered by aluminum – enamel – glass and porcelain dishes – kitchen utensils – hand luggage – rucksacks – pieces of clothing, etc. There are innumerable holes and craters on the property." "During the work on the terrain, I found no mass graves, which, in connection with the statements by the witnesses Romanowski and Wiernik, leads to the conclusion that nearly all of the bodies of the victims were burned, all the more so since the camp was liquidated early and the murderers had much time. The ground of the camp was ploughed and sown. Ukrainians were settled there, who fled before the arrival of the Red Army (witnesses Kucharek and Lopuszyński)." The passages I bolded in the above quote make me wonder if Mattogno did not, to put it politely, forget some very important results of these investigations when proclaiming them to have been a failure. For the Polish investigators found an area of ca. 2 ha = 20,000 square meters covered by "a mixture of ashes and sand", the mixture containing "countless human bones, often still covered with tissue remains, which are in a condition of decomposition". Mattogno’s silly speculations about Soviet manipulations of evidence aside, where could these human ashes and bones covering an area of 20,000 square meters reasonably have come from, other than from underneath that area, from where they were brought to the surface by the activity of robbery diggers looking for valuables left behind by the murdered Jews? And what do these traces covering said area tell us, especially if coupled with the fact that – as is mentioned in the 11 November 1945 entry of the Protocol of the tasks performed on the grounds of the death camp Treblinka, which forms the object of the judicial examination, signed by Examining Judge Lukaszkiewicz and State Attorney Maciejewski – human remains were found in that area to a depth of 7.5 meters? The likeliest conclusion is that this area of 20,000 square meters was the mass graves area, or one of the mass graves areas, of the "death camp" sector of Treblinka extermination camp, and that 7.5 meters was the depth, or the minimum depth (there are eyewitness testimonies mentioning graves 10 meters deep, and the modifications of the area’s surface by first the killers’ attempts to hide the traces of their crimes and then by robbery digs suggest the possibility of some difficulty in accurately determining the original depth) of the grave pits in that area. Yet this is not the end of the curious aspects. Lukaszkiewicz found several bomb craters on the camp grounds and even two unexploded bombs. The largest crater was 6 m deep and possessed a diameter of approximately 25 m. Therefore the camp must have been bombed, and most surely not through an error. The Germans, who according to official historiography had wiped away all the traces of their crimes by dismantling the barracks, tearing down the walled structures, leveling, plowing the terrain and planting it with lupines, would have had no interest in bombing the camp, for in the first place there was nothing left to destroy, and in the second place, the craters produced by the bombs would have rendered visible the traces of the alleged mass murders. One wonders what "false tracks" those manipulating Soviets of Mattogno’s fantasies could possibly have expected to lay by bombing an area which the SS had made all efforts to give the look of innocuous agricultural or forest land, and how they could possibly have expected to lay such "false tracks" by bombing the area unless the human remains later found by Lukaszkiewicz, over an area of 20,000 square meters and to a depth of 7,5 meters (the excavation work having been made much easier by the presence of a bomb crater 6 meters deep, in which the Polish investigators only had to dig a little further «in order to discover the depth of the pit in this part of the camp», see the above-mentioned entry of 11 November 1945 in the Protocol of the tasks performed on the grounds of the death camp Treblinka, which forms the object of the judicial examination) were already there when the bombs fell. For I hope for Mattogno that he’s not trying to tell us that bombardment could have displaced human remains (especially in such amounts that they would cover an area of 20,000 square meters and saturate a pit 7.5 meters deep) from the comparatively tiny mass graves of the Treblinka I labor camp, which was somewhat removed from the Treblinka II extermination camp, to any part of the Treblinka II extermination camp. Scenes of this kind took also place in the fields of Belzec and Sobibor. The search for treasures continued. The area was dug up again and again, and each section of the land was checked thoroughly by local people and people from afar who tried their luck. These acts ceased only when the Polish government decided to turn the camp areas into national memorial sites. On pages 83/84 of his book, Mattogno quotes, from Rachel Auerbach’s report translated into English under the title In the Fields of Treblinka, excerpts containing Auerbach’s description of the Treblinka site as found during a site inspection carried out on 6 November 1945. A part of this description is omitted, as signaled by […] at the end of page 83, and in the second sentence of the following section, on page 84 of Mattogno’s book, the reader is surprised by the sudden reference to «The bombs» that «had revealed the contents of the desecrated soil». These bombs had obviously been mentioned by the author before, but nowhere in the quoted text on page 83 is there a reference to them. So could it be that the first reference to these bombs is contained in aforementioned part omitted by Mattogno, in which these bombs are expressly linked to the activity of robbery diggers? If so, Mattogno has purposefully withheld from his readers information contradicting his pet theory of the Soviet bombardment. This would be another example of "Revisionist" intellectual (dis)honesty at its finest. So much for now, and in case some anonymous "truth seeker" wants to tell me that these are apparently the only "mistakes" I have found in a book 371 pages long, I would like to make the following very clear: I have so far just had a brief look at Mattogno’s screed and picked out some of the claims that caught my attention. Yet even what I have seen so far shows that these are just a few of the whoppers that will make Mattogno’s Treblinka book a gratifying subject for further blog articles. Sounds like the "Treblinka Gold Rush" story might be fabricated. Find it highly disturbing. With Rachel Auerbach saying that Polish peasants were hyenas disguised as human. Rachel Auerbach sounds like a serial fabricator. Which is understandable considering what she must have actually seen for real. Plus what can be expected working for the Soviets. With stories about steam-chambers, hair matresses and human-fat soap. With her special relish quite clear from her writing style too. That she wanted to spread the guilt around as much as possible. That she hated the Polish people. Additionally, her Treblinka Barber story does not sound very credible. Looks like she coached it from Bomba. Perhaps to help rehabiliate him from Kapo. Sounds like Rachel Auerbach deserves to be moved to the side. Next to Jerzy Kozinski and other sensationalists. But she certainly does not sound like a credible historian. She hurts the cause of truth. Additionally, it does not seem right to sling false accusations against the Polish people to sensationalize the sufferings of the Jews during the Holocaust. In fact it shames their memory. Let them rest in peace without embellishment on their suffering. Or by presuming evil by innocent people. "Sounds like the "Treblinka Gold Rush" story might be fabricated." And your evidence for this is..? Thought so. "Rachel Auerbach sounds like a serial fabricator." "Plus what can be expected working for the Soviets"
"With stories about steam-chambers, hair matresses and human-fat soap"
"... does not sound ... Sounds like ... sound like ..."
Sounds like you're a conspiraloon. "Additionally, it does not seem right to sling false accusations against the Polish people to sensationalize the sufferings of the Jews during the Holocaust. In fact it shames their memory. Let them rest in peace without embellishment on their suffering. Or by presuming evil by innocent people." I fully believe in the Holocaust. But I understand the first poster's last paragraph. I mean Sergey, let's be honest here... The Poles disliked the Jewish bankers in their country just as much as the Germans, and when a peasant Pole is starving or destitute, in need of money and living in a now war-ravaged nation, would you not dig up an unmarked (Jewish) grave yourself, no matter who it was? Especially if the people are no longer known by name or face? Think on a personal level here. The Polish grave diggers were certainly not all "hyenas;" that kind of slander leads to more hatred and we can all see where slanderous hatred leads to if we're already on this site. I'm sick of hatred like this, whether stereotyping slander or genocide. Thousands of Jews in Poland who are being deported by the Nazis to "unknown destinations" are actually being exterminated by suffocation in groups of 500 in special "steam chambers" erected in several concentration camps, it was learned here today when a 63-page report giving details of the mass-extermination reached this country. The report, which will be published as a "Black Paper," reveals that in the notorious Treblinka concentration camp "installations have been set up to enable the suffocation of 5,000 Jews daily." These installations are now being enlarged, the report adds. It describes how the victims, before being driven into the steam chambers, are forced to take off their clothing and stand naked for hours in the open. Similar procedure is followed in other "Jewish camps." LOL, hello, Jerzy. What's the point of your spam, exactly? "LOL, hello, Jerzy. What's the point of your spam, exactly? " Could you please tell us more about the "steam chambers". DR Tadauesz CYPRIAN presnted the plans and eyy witness to confirm their exsistnece during the Nuremberg trials. "AsI can see anything which doesn't fit a holo-tale is a spam:)"
There's no "holo-tale" outside Jerzy's fantasies, and remarks about obviously mistaken steam chamber reports are spam insofar as they have nothing to do with the topic of this article, besides being wholly irrelevant. Where’d you get those tres hip sunglasses, by the way? The Jews had simply ceased to exist. Special camps were established for this purpose where the destruction of human lives was carried on by mechanized means. The best known of these death camps are those of Treblinka, Belzec and Sobiber in the Lublin district. In these camps the Jews were put to death in their thousands by hitherto unknown, new methods, gas and steam chambers as well as electric current employed on a large scale. The Victims were recruited chiefly from the General Government, and particularly from the following districts: Warsaw, Radom, Lublin, Krakow and Lwow, but Jews from outside the General Government were also sent there, particularly from. the Bialystok district where the Ghettos were maintained for a long time and where in the summer months of 1943 about 10,000 Jews were rounded up and transported to Treblinka for extermination. The German authorities acting under the authority of Governor General Dr. Hans Frank established in March 1942 the extermina­tion-camp at Treblinka, intended for mass killing of Jews by suffocating them in steam-filled chambers. 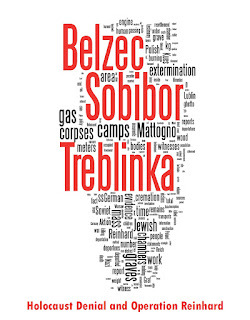 In 1940 the German authorities established in the village 01 Treblinka. near Malkinia close to the railway-line Warsaw - Bialy­stok, a concentration camp for Poles who refused to deliver contingents of agricultural products ordered by the German administrative authorities. In November 1941, the District Governor of Warsaw, Dr. FISCHER, proclaimed this camp as a general concentration camp for the whole district of Warsaw and ordered all Poles to be deported there who some way or other contravened against the orders or prohibitions of the German authorities. Later on this camp was named "Treblinka A". In March 1942, the Germans began to erect another camp "Treblinka B" / in the neighbourhood of "Treblinka A"/, intended to become a place of torment for Jews. The Camp B of Treblinka is situated in hilly, wooded country It covered an area of about 5.000 ha (18 sq. miles) and was fenced off by hedges and barbed wire. It is bordered in the north by a young forest, in the west by a railway embankment while low hills shut it off from the East and South. There are several obser­vation posts in the camp for the camp guard (Lagerschutz) as well as searchlights used for securing the camp during the hours of darkness. A side track leads from the main railway track on to a loading platform adjoining a large open place fenced off by barbed wire. where several thousands persons can be accom­modated at the same time. To the north stands a large barrack and in the south-western corner an observation post. The place to the south of the barbed wire fence was used for sorting out pieces of clothes of the victims which were fit for further use (Lumpen­sortierungsplatz). Further to the south is the place of execution and a mass grave. A gate opens from the place to a road leading to the buildings and one of them is divided by a narrow corridor into two parts and measures approx. 40 yards by 25 yards. On each side of the corridor are situated five chambers whose height is about 6 and a half feet. There are no windows. The doors can be shut hermetically. The second building consists of three chambers and a boiler­room. The steam generated in the boilers is led by means of pipes to the chambers. There are terracota floors which become very slippery when wet. Along the southern wall of the building runs a long platform where the bodies of the victims were piled up after execution. A well is situated near the boiler-room. Behind this building and separated from the rest of the camp by barbed wire stands a barrack and a kitchen destined for the grave diggers. On both sides of these buildings are situated observation posts. As the executions grew in numbers, mass graves were dug out by motor driven machines and not by hand and shovel as in the beginning." "Where’d you get those tres hip sunglasses, by the way?" «"Where’d you get those tres hip sunglasses, by the way?" A comment that befits the kind of idiot who knows no better than to parade the beaten old crap about the report from the Polish government-in-exile whereby steam was used to kill the people at Treblinka. Apparently these idiots still haven't understood that this report (which contains some accurate claims besides the steam inaccuracy) didn't even make it into the IMT's findings of fact regarding Treblinka in its judgment. There it is stated that the killing method was gas, not steam. "A comment that befits the kind of idiot who knows no better than to parade the beaten old crap about the report from the Polish government-in-exile whereby steam was used to kill the people at Treblinka. " Dr.Tadeusz Cyprian represented the new established communist government in Poland not as you suggest government in exile. Tadeusz Cyprian spent the war with the Polish government-in-exile and transferred his allegiance to the new Lublin government in 1945. When he drew up charge sheets used at Nuremberg, he was working with outdated information that the Polish government-in-exile had received in November 1942; the government-in-exile had in fact received multiple reports of *gas* at Treblinka over 1942-3. Meanwhile, another part of the Polish government investigated Treblinka in 1945, at virtually the exact same time as Cyprian recycled the 1942 reports of steam, and concluded that gas was used at Treblinka. To anyone familiar with how bureaucracies work, none of this should be a surprise, and none of it proves anything the deniers want it to. The "steam chamber fairy tale" was a report from the Polish government in exile in London, based on wartime reports from the Polish resistance (which obviously had no insight into how the killing at Treblinka was actually done and also no access to witnesses familiar with the killing method). Said report, submitted at the Nuremberg Trial of the Major Criminals before the International Military Tribunal, didn't even make it into the IMT's judgment, where the killing method at Treblinka was clearly stated to be gas. In other words, the IMT already didn't take the "steam chamber" report at face value. Which, in turn, means that the "steam chamber" report has no relevance whatsoever. As to the "bug spray" think, I presume that you mean Zyklon B. That was used at Auschwitz-Birkenau and Majdanek, never at Treblinka. 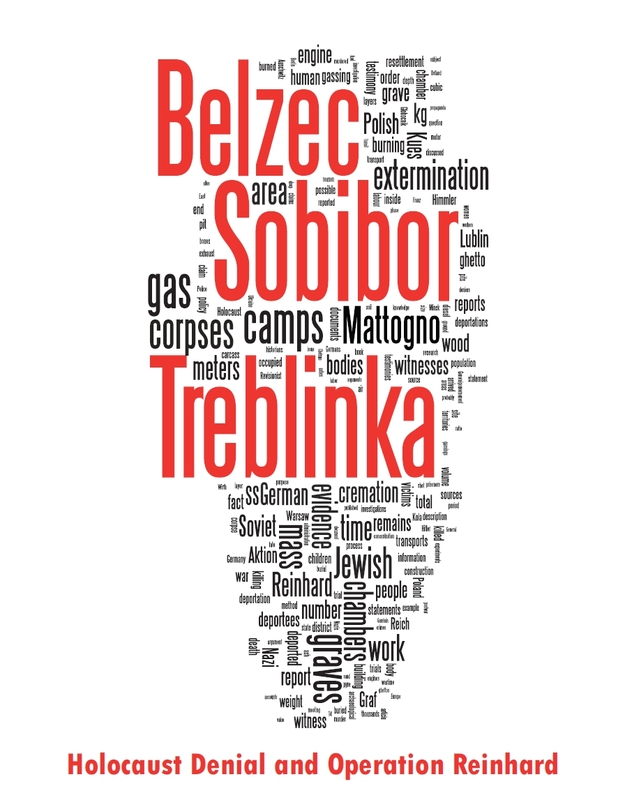 All postwar testimonies regarding killing at Treblinka mention killing by engine exhaust. The testimony of at least one witness (Nikolai Shalaev, one of the gassing engine's operators) further contains the precision that the gassing engine was a gasoline engine. Jerzy is so incredibly ignorant.